Commercial Parking Lot Paving – Morpac Paving Ltd. Looking to Make A Positive First Impression on Your Customers? 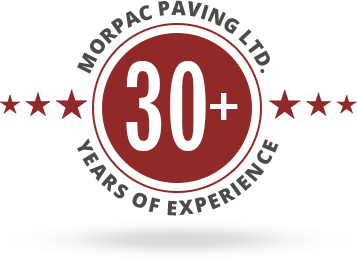 Call on Morpac Paving Limited today- acknowledged for bringing about professional training & accountability in commercial paving and maintenance. Whether you need to carpet an entirely new area, or you need to seal and hide the ungainly potholes and cracks, our experienced team of paving engineers can help you in employing the best applicable solution to your commercial paving projects in a timely and cost effective manner. We understand the challenges of commercial parking lot paving; thus our intuitive solutions are designed to save money without compromising on the quality of paving.